Excellent! This escaped my Radar. There are always less arguments against the use of opensource. Read more about Excellent! This escaped my Radar. There are always less arguments against the use of opensource. Our publications from 2007 are still cited! Read more about Our publications from 2007 are still cited! The Directorate F - Emerging Technologies and Infrastructures is organizing a series of consultations for the preparation of Horizon 2020, the new Framework Program for research funding. 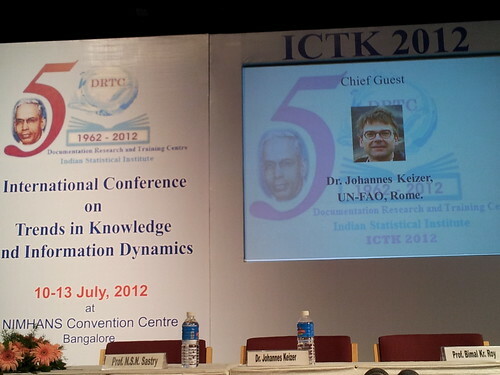 I was invited to participate also in the Rome event about "open Infrastructures for open science". I expressed my opinion that the importance of semantic standards and linked open data technologies should not be underestimated. 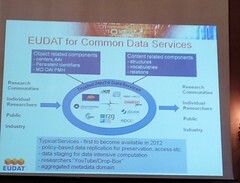 An interesting intiative is EUDA with the intent to create trusted data services between public and private partners. THe same issues that we are discussin in agINFRA (structures, vocabularies, relations, persistent identifiers, protocols) are addressed in the EUDAT system. more screenshots at my FlickR Gallery. On March 8 and 9 I was invited to participate in the expert consultation on "Industry and Innovation in e-Infrastructures for Horizon 2020.